The Gospel Call to Justice – Fr. Peter McVerry S.J. November 17, 2017 cork DIOCESAN NEWS, Uncategorized Comments Off on The Gospel Call to Justice – Fr. Peter McVerry S.J. Cork Scripture Group is pleased to announce a public workshop entitled ‘The Gospel Call to Justice’ presented by Fr. 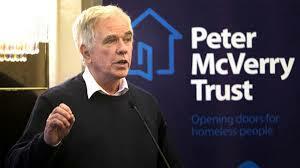 Peter McVerry SJ on Saturday, November 25th 2017 from 10.00 am -1.00 pm in the Sacred Heart Hall, Western Road, Cork. Fr. Peter, who is very well known as a campaigner for the homeless and marginalised, has also written a number of books on justice and mercy in the Scriptures. For information and booking: contact Cork Scripture Group at corkscripturegroup@gmail.com or 021-4295144 (Marian or Phil).